Good Morning! Do we have any newly engaged couples reading today? How many of our couples have embarked on their journey to finding the perfect wedding venue yet? Well today I think we may have something to share that is going to seriously aid you on your search! Introducing Coco Wedding venues, a brand new stylish wedding venue directory, boasting a great selection of venues to fit all styles needs and budgets and is so simple and fun to use. The process couldn’t be easier; you can narrow your search by type, style and location and have the option to browse through beautiful galleries. Already having a huge impact in the world of weddings I have a feeling Coco Weddings will revolutionise the way couples find their wedding venue. I will pass you over to founder Emma who will tell you a little more about Coco. Hello fabulous Bespoke Brides & Grooms-to-be! So, my name is Emma and I am the founder of Coco Wedding Venues – a style focused Wedding Venues Directory. 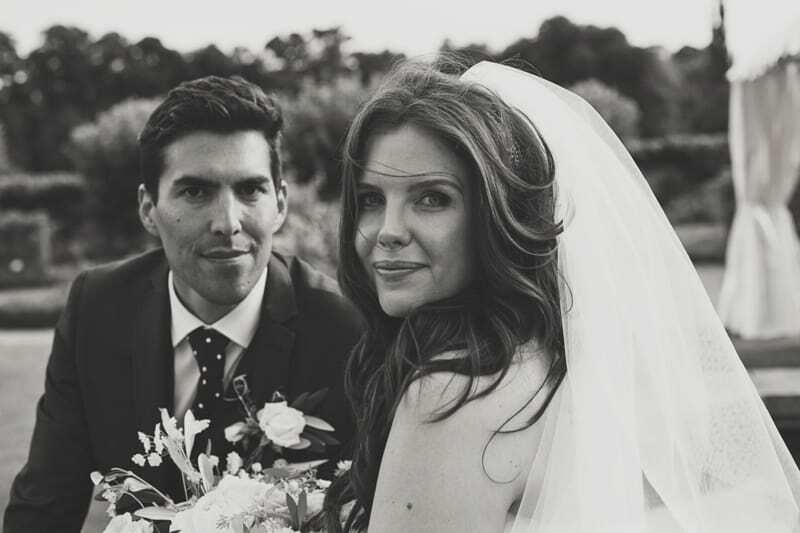 On a slightly more persona note – I live in Brighton, I have a puppy called Gatsby, I love a perfect flat white around 11am, I have an urge to wear a feather headdress most days… and on a hot Summers day last August I married the most delicious man. Why did you create Coco Wedding Venues? It started with planning my own wedding – The boy and I fell at the first hurdle – the wedding venue search. Our natural first step was to search the Internet, but the wedding venue websites we came across didn’t excite and inspire us. The functionality of these search tools also frustrated me, I thought the process should be fun and inspiring and a little bit romantic. Sadly it didn’t quite work out that way. So I got to thinking – how would I like to search for a venue and what would I like it to look like…? I simply wanted to merge the functionality of a venue search tool with the stylish wedding inspiration found on beautiful wedding blogs. You can search for your wedding venue using six simple style categories – Bohemian Beats, Rustic Romance, Modern Vintage, Classic Elegance, City Chic and Coastal Cool. Coco Wedding Venues also has a Blog where we will share style inspiration, news and events and, of course, our beautiful collection of venues. For venues – I want to offer a stylish and bespoke way of getting your venue across to a new audience. I write the listings and create the image galleries and take great pride in creating a beautiful homage to each and every one. From the moment you land on the homepage for Coco it looks and feels completely different to other Wedding Venue Directories – think clean, stylish, beautiful and of course relevant to the Bride and Groom of today! The Directory is very visual – the full width slide showcases six beautiful venues from the Coco Collection. If one takes your fancy simply click through for the write-up or glide down to explore what Coco is all about – the Style Categories. Each write up includes details on The Setting and The Vibe giving you an overall impression of the location and the feel of the wedding venue. The Need to Know facts tell you the important bits of info such as ceremony/reception capacity, facilities and service level. But here comes my favourite bit… The image galleries. Click through to a mood-board showcasing useful images of the venue spaces juxtaposed with delicious real-wedding images that you actually want to see! Weddings that are full of love, warmth and inspiration, hinting at current wedding trends and style. In terms of functionality – the Venue Finder filtering system is both clever and simple to use. The site is also responsive – so whether you are searching on your mobile, tablet or laptop your experience will be second-to-none. Why are you perfect for Bespoke Bride Readers? I believe the readers of bespoke bride are current, design-inspired, creative and stylish… One of the words that sums up our brand is bespoke and I know that is exactly what your readers are looking for at every turn on their wedding journey. If you could describe Coco Wedding Venues in just 3 words, what would they be? Aside from bespoke… Our ethos and values can be described as luxe, stylish and quality. Finally, what’s new for Coco Weddings? Do you have any more exciting plans for the future? However the response has been fantastic so far and this has lead to some very exciting collaborations planned for 2014. Coco has also been asked to contribute to an exciting project and I hope to reveal more over the next few weeks! So what do you think guys? Very useful right! I would love to hear from you if you have used Coco Wedding directory for your search?